Here you can find links to download LG F60 firmware. We have a complete list of firmware for LG smartphone. But first, let's recall main features of LG F60. The smartphone was released in 2014. Then only some manufacturers could add 4G support to their new devices, and LG F60 was one of those. Although the specifications are not the most powerful, this smartphone supports 4G LTE and Android 4.4.2 KitKat. At the time of release it was the latest version Android. Now you can download new updates. The main features of the smartphone include: backlight for front camera, Knock Code to unlock the smartphone, take a photo with hand gestures and much more. LG F60 comes with 4.5-inch screen, 1GB of RAM and 8GB of internal memory, 5-megapixel main camera and a 1.3MP front camera, 2100 mAh. In fact, LG F60 is a simplified version of the flagship LG G3. It is a good smartphone for 2014. Nevertheless, now you can find the latest updates and download LG F60 firmware. We share with you a complete list of firmware. You need to pay attention to the region and phone model. 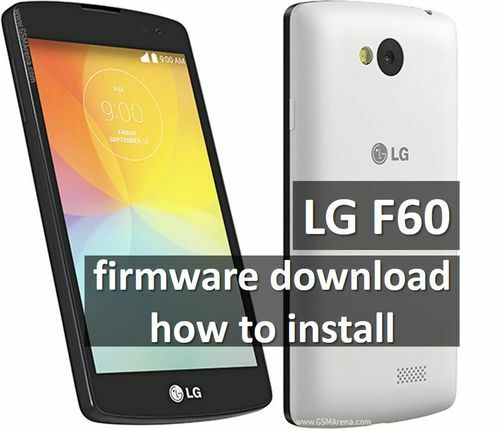 Also, following the link below, you will get instructions and tools for installing LG F60 firmware. If you have any questions, please write in the comments below. We will be glad to help you with installation of LG F60 firmware.